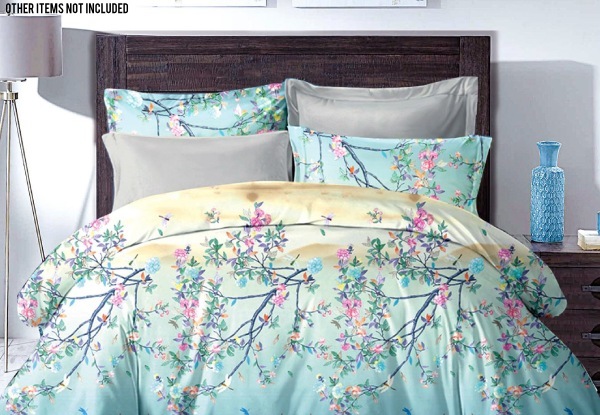 Grab a light teal duvet cover set from LIVEINSTYLE. 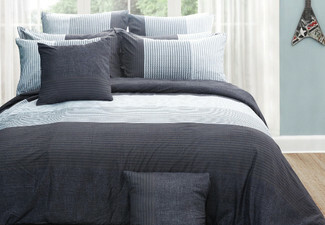 Please note: Pillowcases in actual sets may not have exact pattern displayed in the picture. Free metro/urban delivery. Enter address when purchasing. No PO Boxes or rural delivery (Waiheke Island is rural delivery). No refunds unless required by law, no cashback, not to be used with any other offers.